More than 40,000 people have signed online petitions to regulate lies or misleading statements told in political advertising. A petition on the UK Parliament's website, which needs 100,000 signatures to be debated by MPs in Parliament, says: "The general population of the UK are tired of listening to outright lies and misrepresentation from the political elite in order to gain votes. With a more honest representation of facts our democracy would hand power back to the people it governs." A separate petition on change.org calls for an independent regulatory to be created "to ensure truth in political advertising:. The Advertising Standards Agency said it had received around "30 or so" complaints over the weekend about "broken promises" based on claims made during the EU referendum campaign. 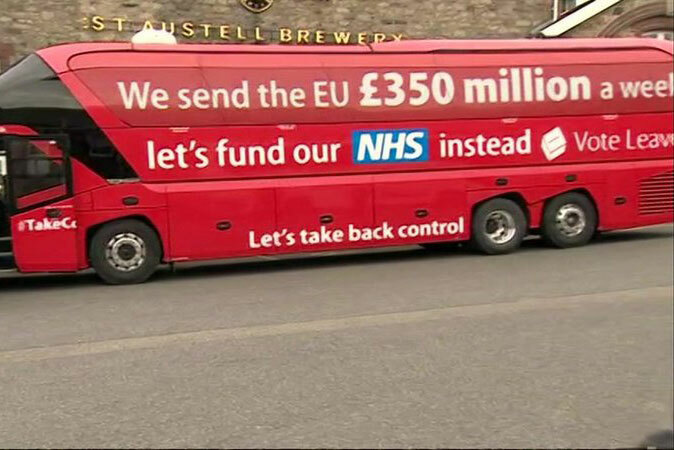 An ASA spokesman said it had received complaints via Twitter of claims made by the Leave campaign in particular, which was heavily criticised for claiming a Brexit would save the UK £350m a week. But political ads of this nature are not subject to the BCAP advertising code and therefore not within the remit of the ASA to rule on whether they are misleading. Sam Walker, the former Karmarama executive creative director who founded Faster Horses earlier this year, told Campaign that political ads that appear on posters, PR or TV should fall under the same regulation as any other ad. He said: "In most instances the worst thing that happens when we do our job is someone buys more dresses or more fizzy drink or a bigger car. But nevertheless we will have had to make sure we're not being sexist when we're selling that dress or not implying that the fizzy drink is healthy or even that the car can go over the speed limit. "Yes, we're not allowed to be racist, sexist or homophobic when we make ads. Why then is it ok for a political campaign to stoke racial hatred by showing the solely non-white faces of hundreds of Syrian refugees going to Slovakia, nowhere near the UK border, with the headline 'Breaking Point'? The ASA spokesman pointed to a notice by the watchdog made before the referendum, which said: "Political advertisements are banned from being broadcast on TV under the Communications Act 2003 (instead parties are given airtime via party political broadcasts which aren’t classed as advertising). "Meanwhile, political ads in non-broadcast media (posters, newspapers etc) whose principal function is to influence voters in local, regional, national or international elections or referendums are exempt from the Advertising Code. We can’t, therefore, look into complaints that political ads are misleading, harmful or offensive." Why couldn't adland sell Bremain to the public?